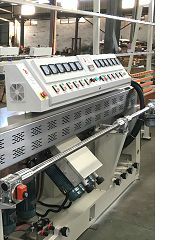 We provide brand new straight line edgers and bevelling machines at very reasonable prices. These are available in 4, 8, 9 and 11 spindles. Edgers available for glass processors who have tempering plants or even kitchen, bathroom producers who process their own glass. 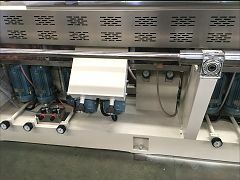 Bevelling machines available for mirror or furniture glass suppliers. Finance options available (Terms and Conditions apply). Please contact us for more details.